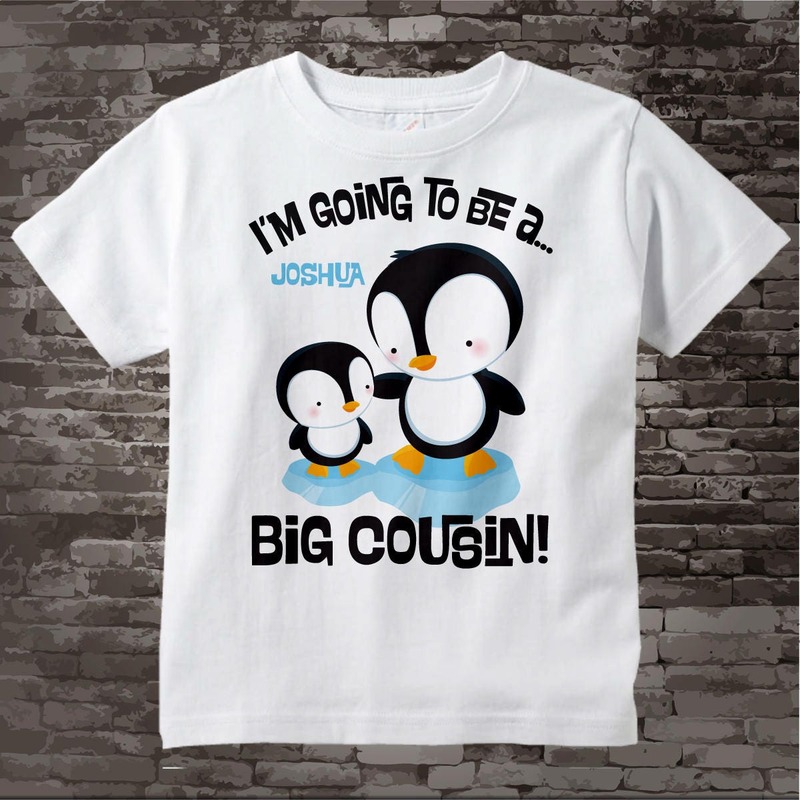 Super cute Personalized Big Cousin tee shirt with awesome Penguin big Cousin and unknown gender baby with him. My order arrived in less than week! I was able to track it just fine too. 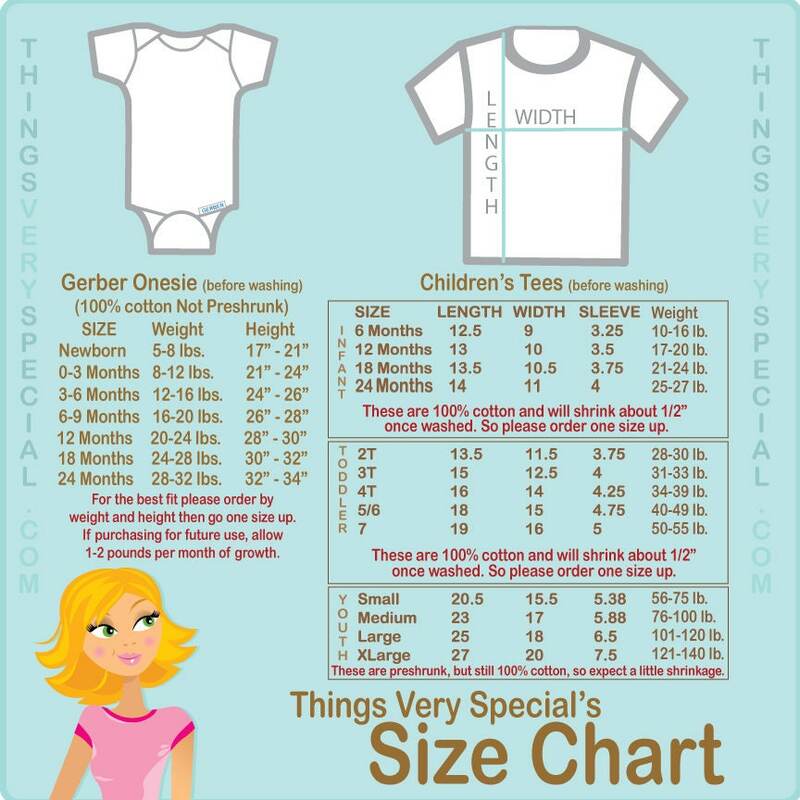 The t-shirt, as the seller describes, does run small, so I'm very glad I ordered 18 months instead of 12 months. I love it! 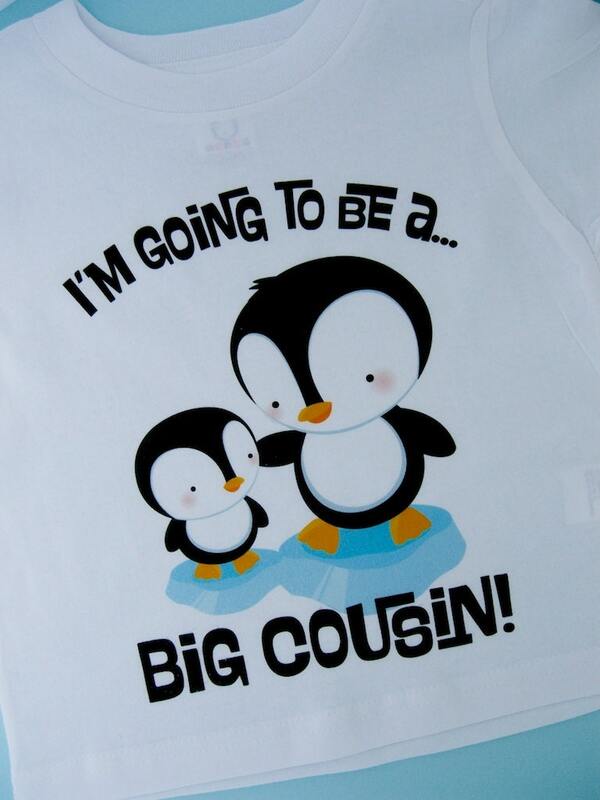 I can't wait to put it on my niece and everyone to see her! Thank you for making this occasion very special! Was better that I expected! Loved it and great quality too! 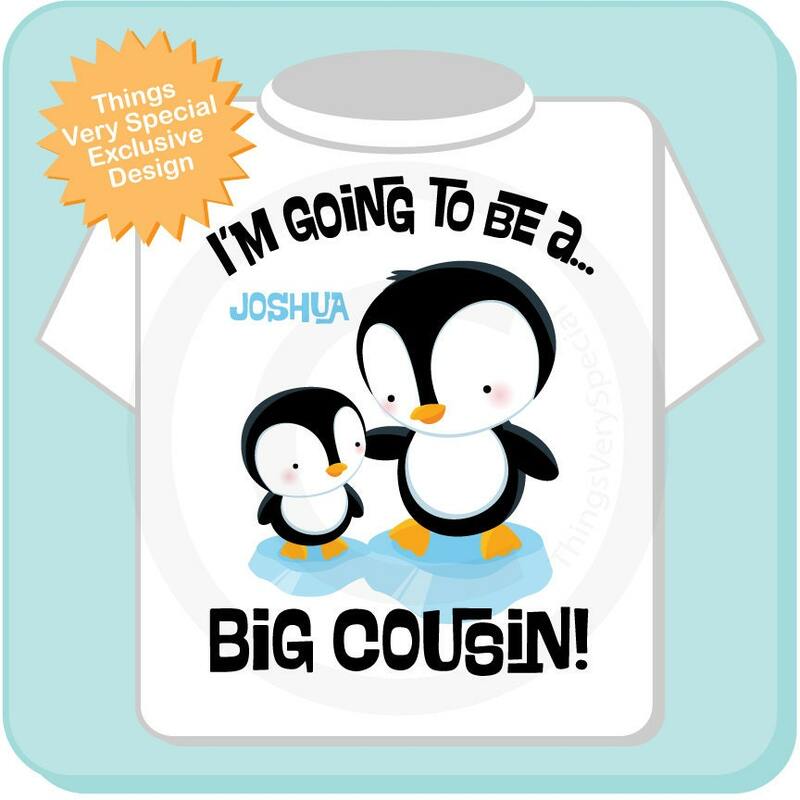 Cute shirt. A little less dark than pictured, but still very nice.